Fighting bad breath and clearing tonsil stones requires the optimum level of oral hygiene.  We recommend the products below to help you.  The editor of this website has suffered tonsil stones for nearly 30 years and has tried every solution – natural solutions and products. These products come highly (and personally) recommended. The primary cause of bad breath are bacteria that build up on and between your teeth. An electric toothbrush is far more effective than a manual brush at reducing plaque and dislodging food particles which get stuck between the teeth. Use a mouth wash that gets rid of the bacteria in your mouth and on your tongue. 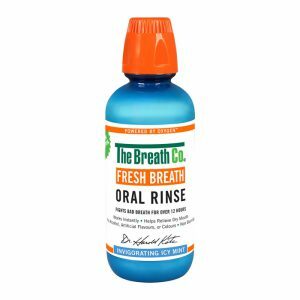 The patented ProFresh Breath Care System is the only mouth wash that contains activated chlorine dioxide, which removes 99.9% of volatile sulphur gases and compounds which cause bad breath. 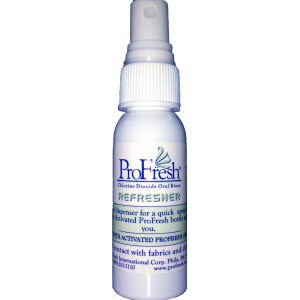 If you’ve been frustrated with other commercial products that falsely claim they can attack the germs that cause bad breath or tonsil stones, or if you scraped your tongue and still have bad breath, try ProFresh. Spray the mouth wash towards the back of your mouth/tonsils when you are out and about, eliminating bacteria and giving you fresh breath confidence. 90% of bad breath comes from a dirty tongue. You need to be scraping your tongue every time you brush. You can’t see bad breath but if your tongue has a white/yellow coating, it’s probably odour-causing bacteria. 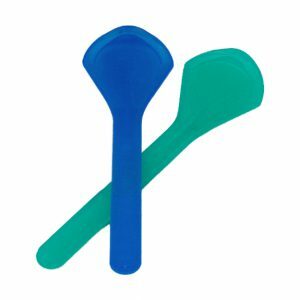 You place the tongue scraper as far back on your tongue as you can and drag the scraper forward gently, then rinse it. Repeat this a few times and then use a mouthwash.  To find out more about the benefits of tongue scraping read this article Tongue Cleaning. There’s no better tool to get rid of that nasty bacteria and “tongue gunk” than the TUNG brush. Effective bristle design penetrates tongue crevices not visible to the naked eye where odour-causing bacteria hide. Simply brushing the teeth is not enough to prevent bad breath. Flossing reaches more of the dental surface that brushing alone misses. If you don’t floss, plaque, a thick yellow material builds up which in just over a week, will turn to tartar. Tartar contributes to bacteria growth and this causes a rotten smell that cannot simply be covered up with mints. Flossing is recommended to remove food debris and plaque from between the teeth. Flossing with an electric flosser is more effective at removing plaque than floss string. 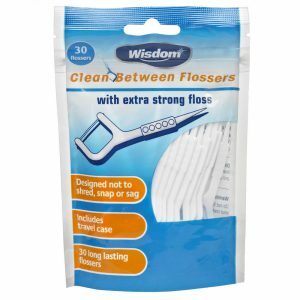 Wisdom Clean Between Flossers are highly effective at removing plaque and food particles from between the teeth, leaving teeth and gums cleaner and healthier.